The following is a compilation of the unedited responses from Richard Beals, Republican Randall County Constable, to the 2018 Amarillo Pioneer Voter Guide Questionnaire. Beals is running against independent Patrick Tinsley in the November election. Living and working in Randall County for over 17 years has allowed me to serve our community in a variety of ways: + Canyon Noon Lions Club; + 100 Club of Amarillo; + Randall County Delegate - 2018 Texas GOP Convention; + Former Charter Member & Secretary - Randall County Sheriff's Association; + Randall County Republican Party; + Member of Local Church Congregation; + Former Board of Directors - West Texas Fire & Arson Investigator's Association; + Former Volunteer Firefighter & Chaplain - Alpine VFD; + Panhandle Peace Officer's Association; + Life Member of NRA & Texas State Rifle Association; + Volunteer Firefighter - Happy VFD. I started from the humble beginnings of a GED earned way back in 1982. + Associate of Applied Arts in Law Enforcement - Cisco Jr College; + Bachelor of Science in Criminal Justice - Sul Ross State University; + Master of Arts in Political Science - Sul Ross State University; + Over 4,000 Hours of State Approved Law Enforcement Training; + Master Peace Officer License. Why did you decide to run for constable? Being a Constable is a great way to serve our community. I recognized a need in Randall County for additional court security and increased warrant service. This was a natural fit for me, since I served in both these capacities during the last 13+ years at the Randall County Sheriff's Office. 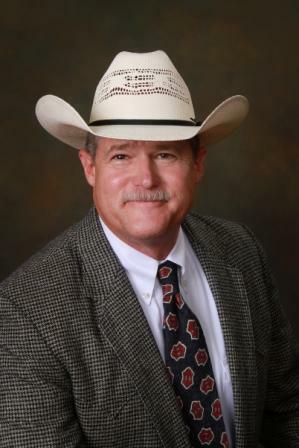 After former Constable Chris Tinsley resigned from office last May, I was chosen by the Randall County Republican Party to appear as their candidate on the November 6th ballot. On July 11th, I was appointed to that position by unanimous vote of the Randall County Commissioner's Court. Since then, I've been honored to serve as your Precinct One Constable in Randall County. I have served as a full-time Texas Peace Officer for over 29 years at both the state & local level: + Experience as an Officer, Investigator, Supervisor & Instructor; + Master Peace Officer License + Over 13 Years at Randall County Sheriff's Office + Former Warrant Deputy, Court Security Officer & Patrol Officer; + Sheriff's Honor Guard; + Field Training Officer; + Instructor in Citizen & Student Academies; + Over 9 Years as State Arson Investigator & Supervisor; + Recipient of Numerous Awards & Letters of Appreciation. These are my Five Top Priorities: 1. Provide security for JP Court & Finance Building; 2. Rebuild this one-person Constable's Office; 3. Assist the public & other law enforcement agencies as needed; 4. Reduce the number of outstanding warrants in Randall County; 5. Operate the Constable's Office in the most cost effective manner possible. The 3 core responsibilities of a Constable in Texas are to provide security for his or her JP Court, serve civil process, and serve arrest warrants. In Randall County, almost all civil process is served by the Sheriff's Office. This leaves court security and warrant service as two primary responsibilities. Since being appointed to this one-person Office in July, I've focused on rebuilding the agency while providing the most needed service: security for the JP Court & Finance Building. During this time I've increased security, saved the county over $17,000 on the acquisition of a replacement vehicle, and implemented a professional uniform program. With these improvements in place, the Constable's Office still finished this fiscal year under its final budget.